The massive round-up of drug dealers and suppliers known as "Operation Saigon Sunset" continues. As late as 10:30 p.m. April 17, 2018, west end residents could hear a helicopter flying close to the ground. The Operation started before Sunset with nearly 200 officers from multiple federal, state and local agencies targeting at least 100 individuals in Huntington, most of them dealers that are part of a Detroit to Huntington trafficking operation. The U.S. Attorneys office said the name originates from the "Little Saigon" area of Detroit. Early statements indicate that enough of the deadly elephant tranquilizer, Fentanyl, to kill 250,000 people have been removed from the streets. In a news release , U.S. Attorney Mike Stuart announced the arrests of several drug traffickers and others related to drug networking. Stuart was joined by other law enforcement agencies during a news conference Tuesday morning at the Huntington Police Department. "It is believed that [Tuesday's] events will result in dismantling of a major drug trafficking network," Stuart said. "Let me point out, today's arrest was not a matter of picking up addicts or picking up folks who were corner store drug dealers. 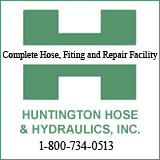 This was a matter of trying to change supply here in the city of Huntington and throughout Southern West Virginia." Officials called Tuesday's raids "Operation Saigon Sunset" that resulted in at least 450 grams of Fentanyl taken off the streets. Stuart said the amount is enough to kill more than 250,000 people. Stuart said Tuesday's actions is believed to have dismantled a major multi-state heroin and Fentanyl distribution network, the Peterson Drug Trafficking Organization. 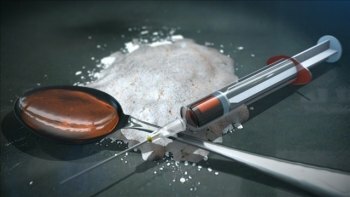 The investigation revealed the trafficking organization had been operating in Huntington for nearly 15 years, trafficking large amounts of heroin, Fentanyl and cocaine from Detroit. Stuart said at the news conference, "My office will take everyone of these cases and give these folks the longest jail sentences we can possibly put together to make sure these people stay off the streets forever." Willie Verdell Peterson, also known as "Chill"
Manget Brown Peterson, also known as "Money"
Lawrence Anthony Sykes Jr., also known as "Bogg"
Eric Curtis Brown, also known as "Eddie"
Nyanzangusa Baldwin, also known as "Botch"
Jarred Moore, also known as "J"
Charles Edward Graves Jr., also known as "Bo"
Terrell Ledez Redd, also known as "Rell" and "Troy"
David John Miller, also known as "John"
Malcomb Jerome Simmons, also known as "Mac"
THE INDICTMENT IS AVAILABLE FOR DOWNLOAD BELOW. The arrestees, who are presumed innocent until convicted, have been charged with conspiracy to distribute heroin and fentanyl. Nearly 100 locations in Huntington were targeted. Drug Enforcement Agency (DEA), Bureau of Alcohol, Tobacco, Firearms and Explosives (ATF), FBI, Homeland Security, the Huntington Police Department, Cabell Sheriff, Marshall University Police, National Guard, US Marshal Service, WVSP, Wayne Sheriff, Appalachian HIDTA, ICE, Cabell County Prosecutor Corky Hammers, and the U.S. District Attorney of southern West Virginia. At least 15 people involved in the trafficking organization have been charged in a federal indictment to distribute heroin and Fentanyl. Fifteen people were indicted Monday in Cabell County Circuit Court on state charges and authorities said additional members of the trafficking organization will be arrested and charged in Detroit. Thirteen people were charged in a federal indictment who were involved in narcotics and/or firearms and at least 48 people were targeted for various narcotics, violent crimes and firearm-related charges in the federal or state level. At one point during the morning operation, Guyandotte Elementary School went on lock down,as police spread out near the facility. One vacant home near Marshall turned out to be a "stash" house, where drugs were stores utilizing fake outlets. Interim Police Chief Hank Dial said, ""Anytime that we have something that will be close to a school, and it may not be putting the kids at risk, but we may not want them to see police action because it can be a little scary." The Tuesday take down will enable HPD to reassign resources to other locations to best protect the city, Dial said. The Operation --- and arrests --- are expected to continue with up to 90 people facing charges. Stuart has encouraged addicts to go into recovery centers.